Limitations apply to bringing in many items - details can be obtained from an Australian Customs Booklet. As Australia is an island, strict quarantine regulations apply to plants and food. Electricity is supplied throughout Australia at 240 volts (50 hertz) with three pin plugs. Plot your adventure or simply see where you hotel is located. Click here for a Palm Cove map to help plan your Palm Cove holidays. Cairns has medical services and major hospitals capable of administering advanced and specialised medical care. The region also has ambulance, fire and police services. 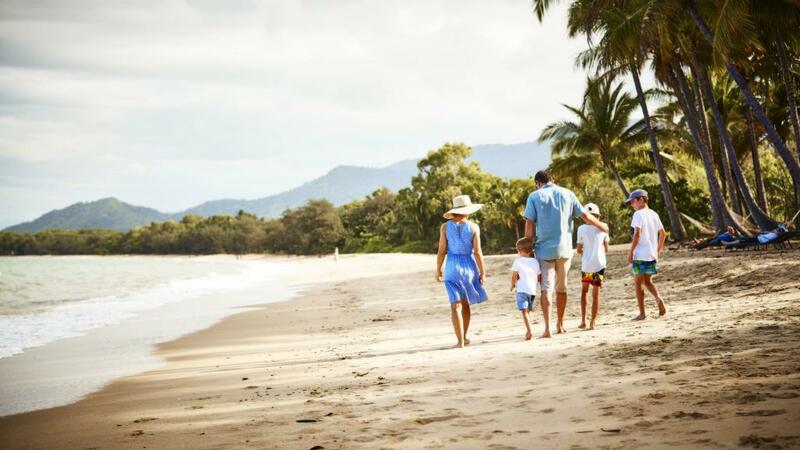 In-hotel general practitioners (GP) are available for visits and travel insurance for your Palm Cove holidays is recommended. Between November and April, large swimming enclosures are employed at popular swimming beaches, which afford protection against dangerous jellyfish stings. These are staffed by qualified Queensland Lifesavers who can provide any information you may require on the spot. The jellyfish do not interfere with Great Barrier Reef activities such as snorkelling or diving as these take place a distance from the coast. Remember to limit the effects of the tropical sun with sunscreen and hats. Pack loose comfortable clothing, walking shoes, swim wear and sunglasses when on Palm Cove holidays.